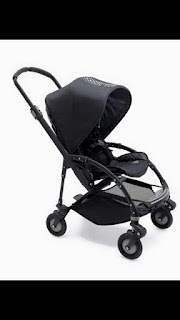 Bugaboo are excited to launch the third and final collection in their three year collaboration with Diesel. After Military and Denim comes the third part of the Diesel DNA, Rock, and presents and unexpected and daring design which is sure to not go unnoticed. 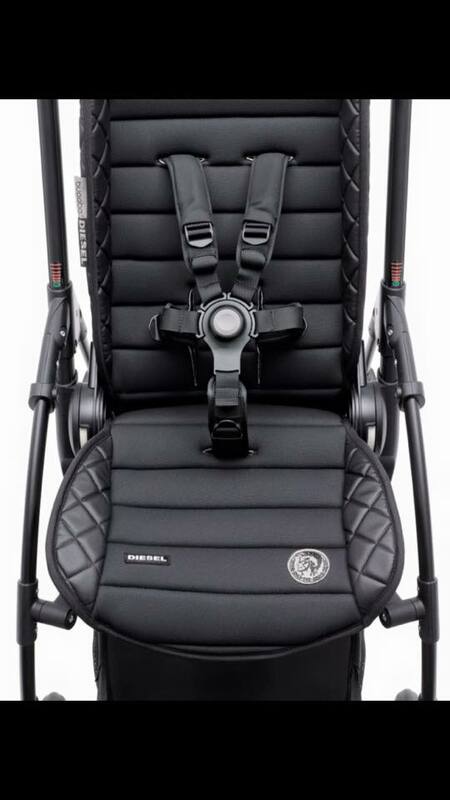 This Bugaboo by Diesel special edition comes as a complete Bee3 pushchair, a Bee3 carrycot tailored fabric set for the Bugaboo Bee3 and a Bugaboo by Diesel footmuff. 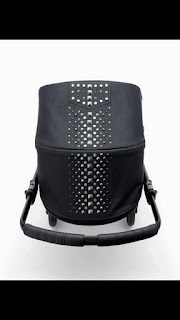 Featuring a wax-canted fabric, leather look and rock inspired studs, the Bugaboo by Diesel Rock collection is edgy yet stylish giving you the rebellious spirit to carry on living your life on the fly. 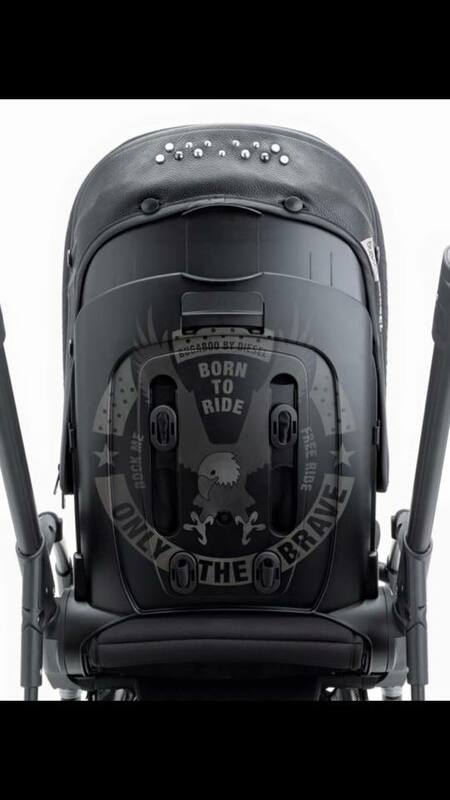 The military inspired Bugaboo Cameleon3 by Diesel and matching accessories from the first collection as well as the denim dress Bugaboo Buffalo, Bugaboo Donkey tailored fabric set and matching bag from the second collection will remain available in store until December 2016. 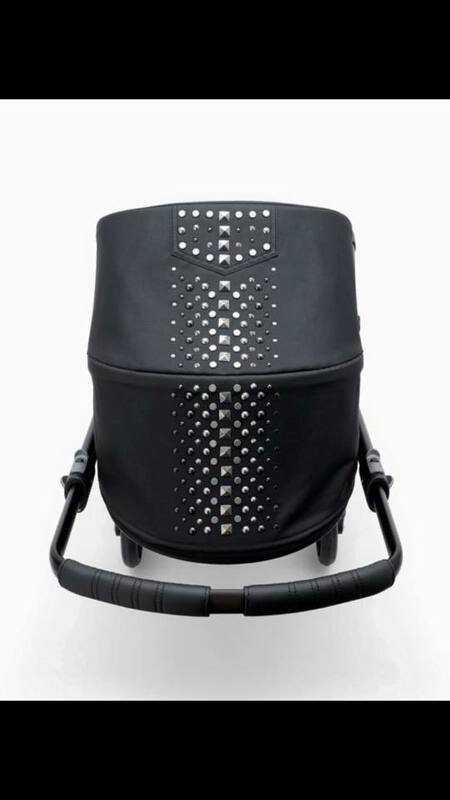 The special edition all-around black pushchair, complete with a leather-look handlebar and numerous decorative studs, is a true rocker. The Bugaboo by Diesel Rock Collection is the perfect pushchair for rock-loving parents who want to stand out in the crowd. 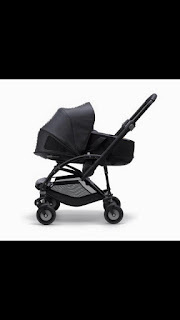 The Bugaboo Bee³ by Diesel comes in a black anodized chassis, Diesel wheel caps, grey/silver coloured (functional) buttons and many rock-inspired details. 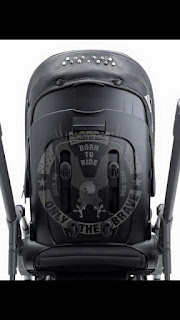 The backrest tattoo, for example, boasts Diesel’s famous slogan “Only the Brave” and has been laser-cut into the top layer of the plastic. Additionally, the carrycot Tailored Fabric Set for the Bugaboo Bee³ and the Footmuff feature rock-inspired patches. 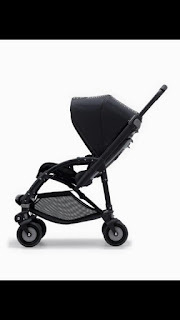 The Footmuff is the perfect way to add a rebellious touch to any Bugaboo pushchair. In true Bugaboo by Diesel style, we step into the world of fashionable parenting and explore those almost unbearable moments that parents face with a smile. While you used to spend your ‘rocker days’ at nightclubs and rooftop parties, your kids now host the party. 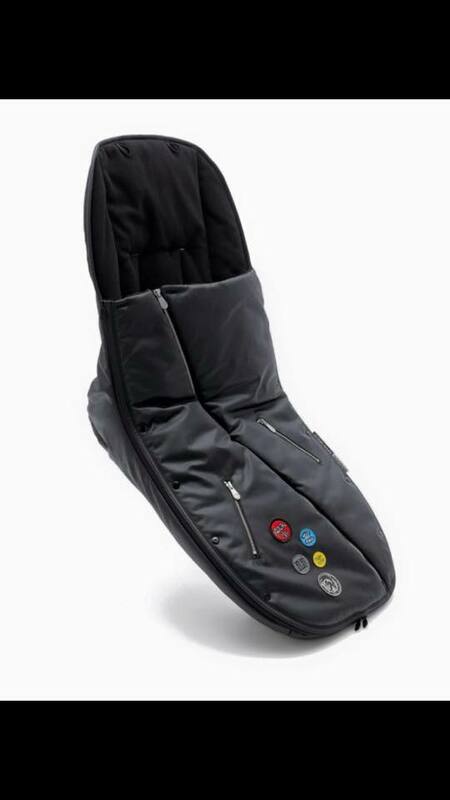 Welcome to the other nightclub, the one that starts when you want to sleep but your kids keep you up all night. While they might run the show these days, it doesn’t mean you have to take that leather jacket off: long live rock ‘n’ roll!